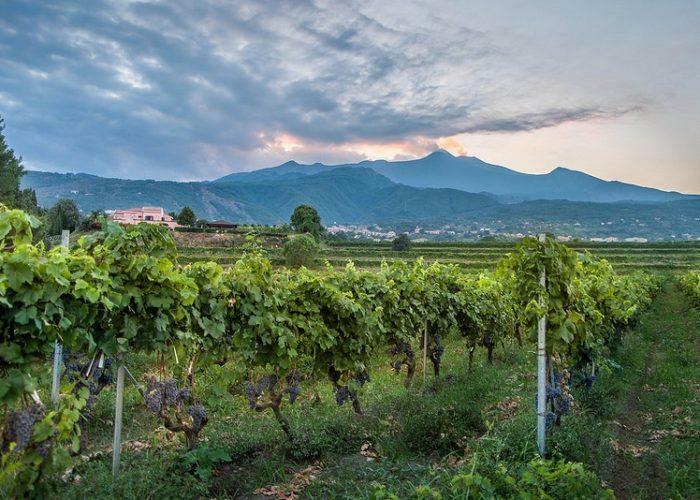 The Scammacca del Murgo family is one of the few winemaking families who can claim long, deep Etna roots; longer than even some of the older Nerello Mascalese vines! For more than 100 years this family has cared for olive and fruit trees, crafted fine olive oils and jams, and nurtured Etna's native grape, Nerello Mascalese, under the Etna's looming shadow. Yet it's only been since 1980 that the family decided to bottle their own wines. And it's no small family: the Scammacca del Murgo clan extends over three generations, and the current generation (eight children!) are all involved in both preserving, and triumphing, the endless beauty of Nerello Mascalese on Etna! Vinous Media 93 "Bright red. Perfumed aromas of red cherry, leather, sweet spices and underbrush on the complex nose. Then similar flavors to the aromas with firm but polished tannins providing support on the very saline and peppery finish. Made with Nerello Mascalese; 13% alcohol. -- Ian D'Agata"